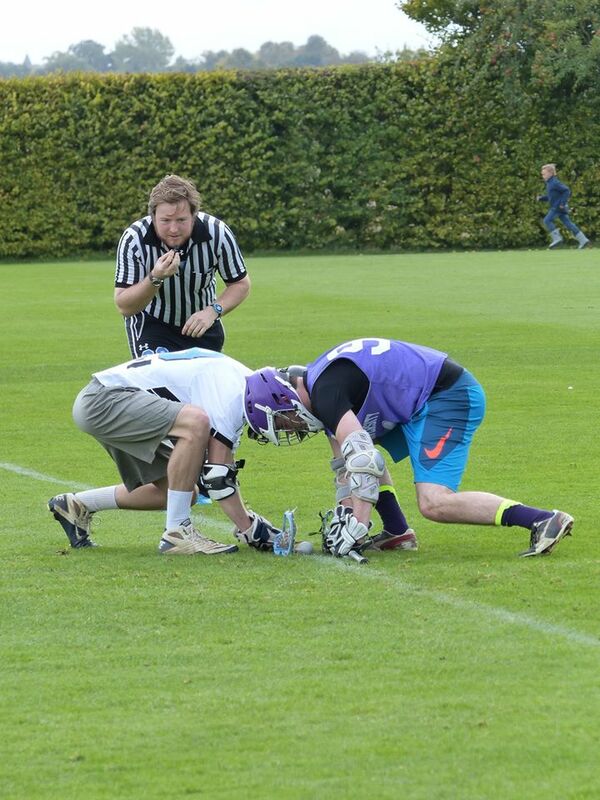 In front of a near-capacity crowd at the Queens College Sports Ground, Cambridge University Blues Lacrosse raced out to a staggering 9-0 lead in the first quarter of their fixture against London Universities this Saturday. A potent combination of a dominant face off unit and patient play in attack saw that the visitors didn’t control possession of the ball until 5 minutes into the game. This allowed the Cambridge attackers to cash in time and time again on goal scoring opportunities, including Pete Baddoo scoring 5 in the first quarter. The final goal of the quarter – a behind-the-back beauty from attacker Jono Linebaugh – summed up the skilful play of Cambridge in the first quarter. Cambridge took their foot off the gas in the next quarter and conceded unnecessary penalties, but the lead they had already generated proved insurmountable for the Londoners. The Blues took the opportunity to put what they’d learnt in training into practice on the field, particularly off ball picks which proved effective. Whilst the attacking unit provided the bulk of the goals scored, the midfielders didn’t miss out on the action, with goals from Fred Balkom, Mark Currie and Matt Coley. A highlight for many will have been midfielder Matt Johnson tearing a hole in the goal net with a lightning bounce shot. The rest of the game ran out as expected and ended 19-4. Special mention must be given to the defensive unit who stymied the London attack and cleared the ball patiently. The Blues will be pumped up for their next SEMLA fixture away against Croydon next week.